Controversial Avant Garde Chairman Nissanka Senadhipathi has been named in the Panama Papers, which were released online late Monday. Senadhipathi, known to be a close associate of former Defence Secretary Gotabhaya Rajapaksa, is one of 18 individuals registered as being domiciled in Sri Lanka that have been listed in documents leaked from Panamanian law firm Mossack Fonseca by the International Consortium of International Journalists (ICIJ). Mossack Fonseca has become known worldwide for creating hard-to-trace offshore companies by politicians, wealthy investors and, in many cases, notorious criminals in 21 jurisdictions, from Nevada USA to the British Virgin Islands. The documents reveal that Mossack Fonseca incorporated an offshore company for Senadhipathi in the British Virgin Islands. The leaked documents released on the internet on 9 May heavily features Avant Garde officials on its Sri Lanka list as shareholders in the company incorporated in the British Virgin Islands. 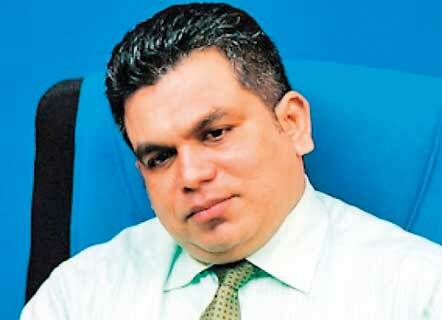 Senarath Bandara Dissanayake, Treasurer and Director of an Avant Garde Ltd operation registered in Panama, according to records from the Panamanian Public Registry, Y. H. P. Kithsiri Manjula Kumara Yapa, a retired Police Chief Inspector serving as Managing Director of Avant Garde Security Services – Sri Lankan operation – and an individual named Prasanna Athanasius Sirimevan Rajaratne are listed as shareholders of the offshore entity, alongside Senadhipathi. The official documents reveal that Senadhipathi and his three Avant Garde colleagues incorporated the offshore company in August 2012, using Mossack Fonseca’s Singapore office as an intermediary. Sri Lankan citizens are permitted to hold and invest monies offshore, but the incorporations must be registered with the Inland Revenue Department. Offshore investors must also submit a balance sheet of all entities incorporated overseas to the Exchange Controls Department and bring any dividends back to the country. If any of the offshore entities are not registered with Inland Revenue and the Exchange Controls Department of the Central Bank, individuals and corporations would be found to be in violation of Sri Lankan Exchange Control laws. It is unclear if all the individuals and entities listed in the Panama Papers as being domiciled in Sri Lanka and holding offshore accounts had declared these entities to Government authorities. Senadhipathi’s lawyers have rejected the Panama Papers revelations out of hand, warning the media to be “mindful” of their claims since Avant Garde and its chairman have already been a ‘victim of frivolous and unsubstantiated allegations’. Senadhipathi’s lawyer said his client was challenging the media to prove that he held even a single dollar in an offshore account, as revealed in the Panama Papers. “My client is also concerned as to why when several names are stated in the alleged Panama papers, why his name is highlighted and slandered,” Attorney at Law Nishan Premathiratne said in a media release authorised by his client. Premathiratne added that Avant Garde is paid for its services in foreign currency. Senadhipathi’s Avant Garde is a sprawling security corporation, with companies in Panama, where Mossack Fonseca is based, and Cyprus. In his official curriculum vitae, previously made available on the website for the company he operates in Cyprus, Senadhipathi also claims he was was appointed as an Advisor on Maritime Intelligence to the Minister of Defence and National Security of the Republic of Maldives since 20th August 2012 to advise the Maldivian Minister of Defence and National Security Maldives. Senadhipathi has since fallen foul of the Maldivian regime, and his previous recruiter, the country’s defence minister Mohamed Nazim is in jail on weapons smuggling charges. CID sleuths who raided Avant Garde’s second vessel docked in the Galle Harbour in October last year, found weapons with defaced serial numbers onboard, and documentation that grossly underestimated the number of weapons the ship, MT Avant Garde, was carrying. Further investigations revealed that the vessel had previously strayed into Maldivian and Indian territorial waters. Known as the biggest data leak in history, the Panama Papers has exposed celebrities, politicians, corporates and criminals using tax-havens and offshore jurisdictions to store wealth. Last week, Finance Minister Ravi Karunanayake announced the Government would appoint a special panel to investigate individuals and corporations listed in the Panama Papers. However, verifying the information made available in the leaked documents would be virtually impossible without a forensic audit of private and corporate accounts, officials admit. The new data that ICIJ made public this week represents a fraction of the Panama Papers, a trove of more than 11.5 million leaked files from the Panama-based law firm Mossack Fonseca. Anti-Corruption Front, a corruption watchdog based in Colombo said the list of those maintaining offshore accounts included the controversial Avant Garde company, and individuals from the hotel, apparel and jewellery sectors. “The Sri Lankan authorities must determine whether these persons have paid the necessary taxes and if taxes are not paid steps should be taken to reclaim the money,” said Ranjith Keerthi Tennakoon who serves as advisor to the ACF. “Billions of dollars have been taken out of Sri Lanka in the recent years. Central Bank must take steps to get this money back. Panama papers have only reminded us again the need to introduce a mechanism regarding financial crimes,” Tennakoon said.